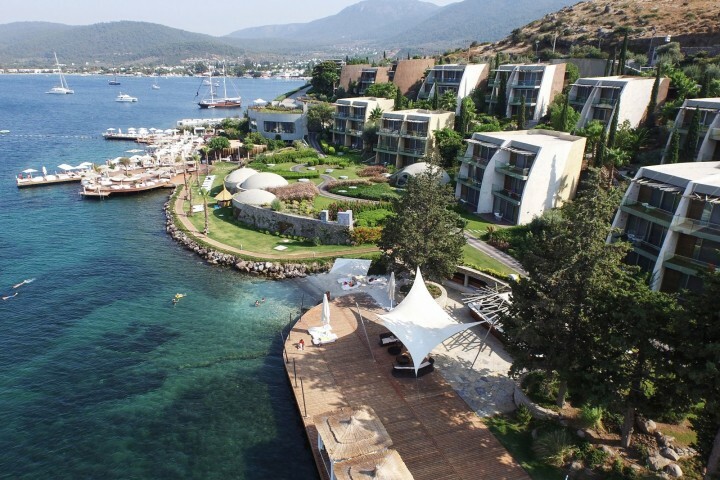 With its soft climate and active lifestyle, Bodrum has come to be known as not only one of the most desirable settlements in Turkey, but one of the most attractive places to live in the world. 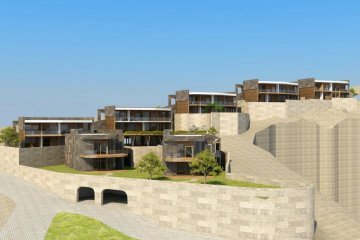 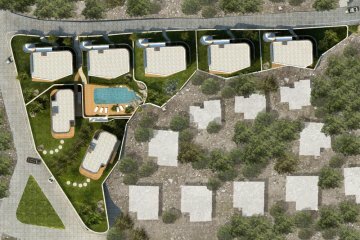 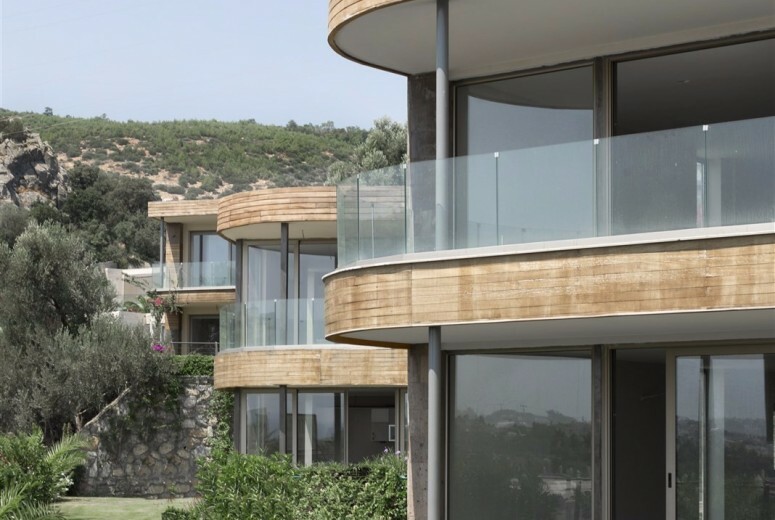 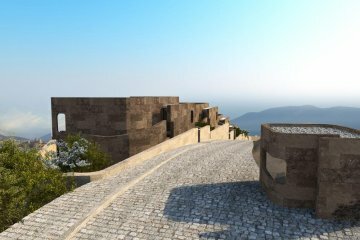 The Horizon Point project is in the heart of Bodrum, on the upper slope of the hillside overlooking the Bodrum Marina, with magnificent views to the sea and to the castle. 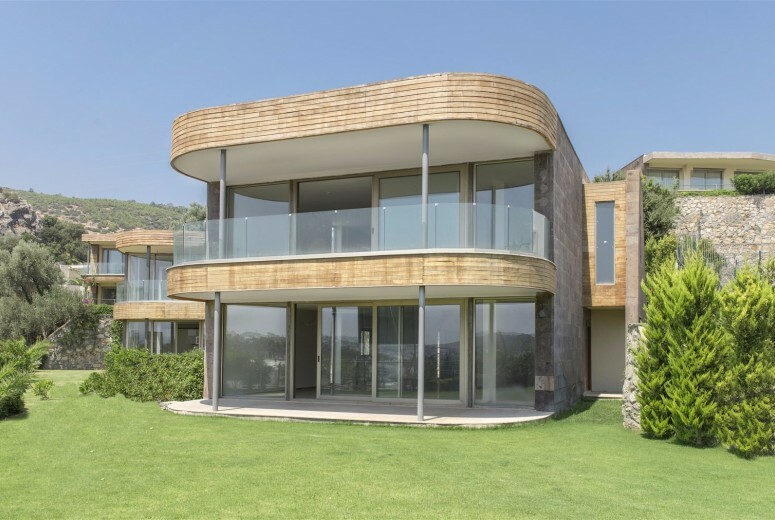 The owner’s objective for this project was not focused strictly on a commercial approach but instead sought to provide a maximum level of comfort and quality to the home-owner. GAD & Dara Kırmızıtoprak considered the sun’s path, and the size and location of pergolas, gardens and pools were designed accordingly. 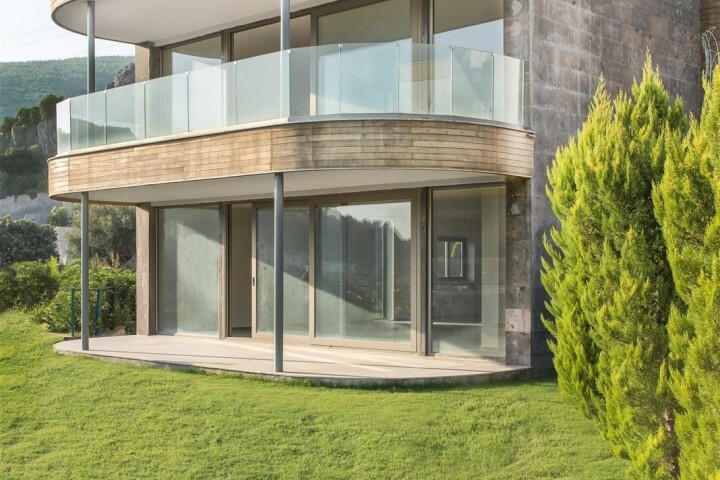 As security is a primary concern when the home owners are away or they may monitor their homes through a camera security system that can easily be viewed online. 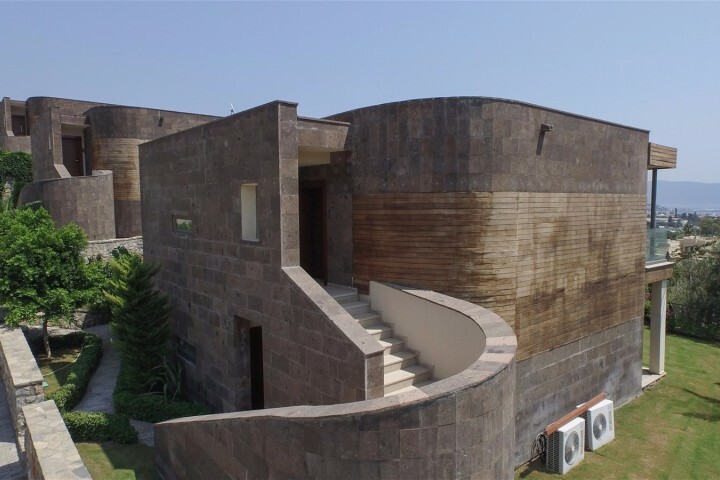 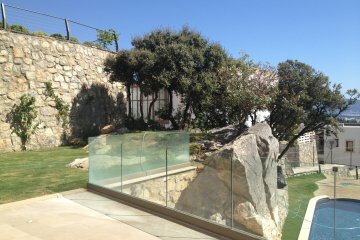 Also, all ‘smart house’ systems were considered in the design. Before the owners arrive the heating and air-conditioning system may be controlled remotely, and the entire electronic system may be turned on or off with a single click. 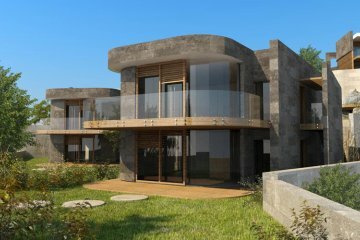 Single and two-story buildings on the 6.400 m2 site. 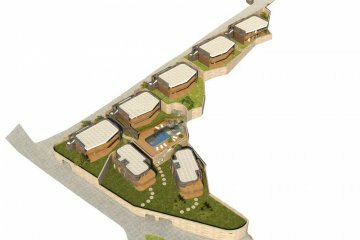 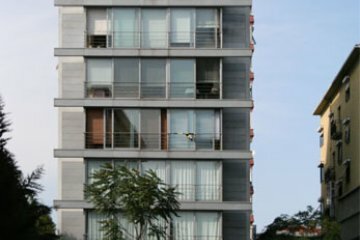 There are a total of seven housing blocks and 14 residential units including 12 flats and two penthouse units. 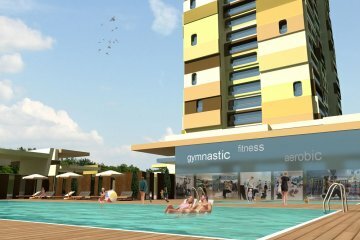 In general, 2+1 residential units are designed as 120-square-meter high-end apartments with superior technology systems. 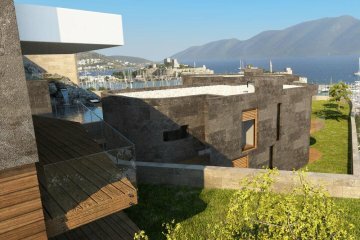 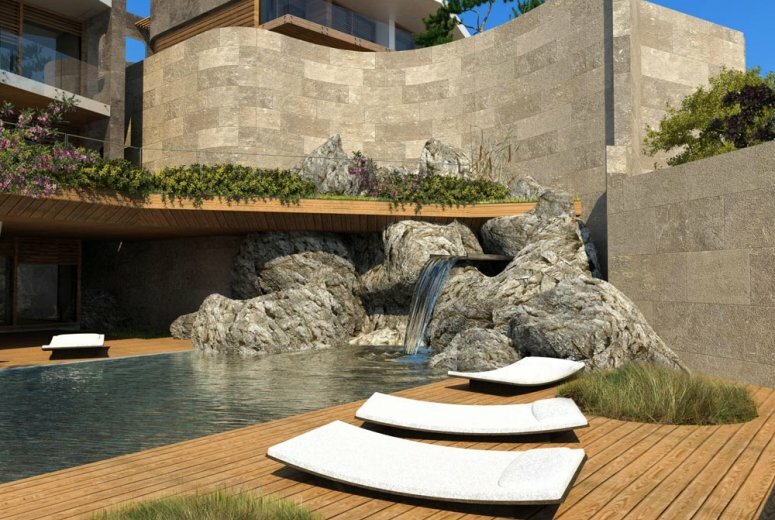 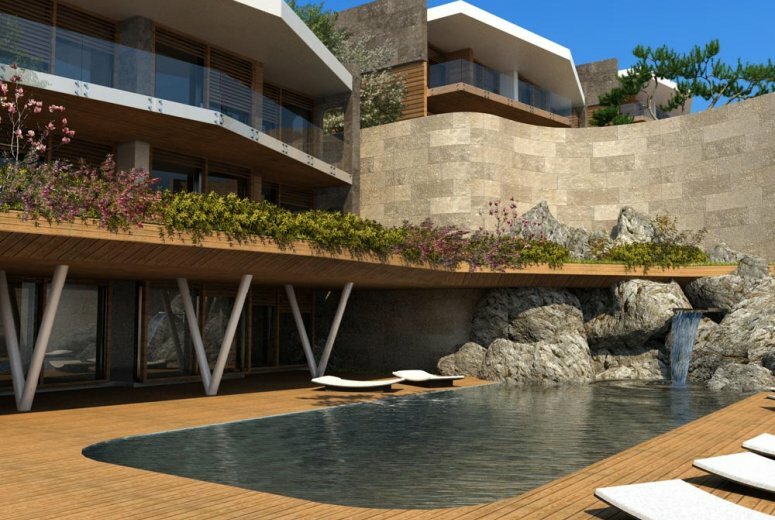 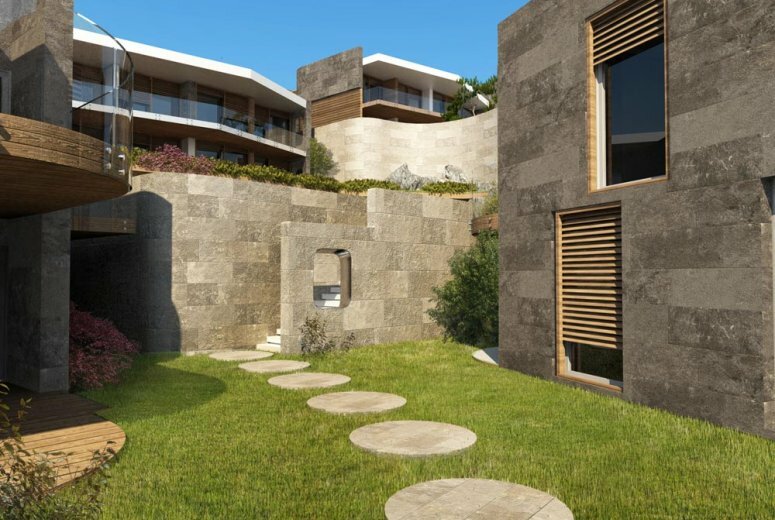 It is this integration of high comfort levels and pleasure within the buildings, along with large terraces that offer unobstructed views of the castle and of the marina, that makes this a truly unique and desirable project in Bodrum.